Sue qualified as a solicitor in 1984. She spent her early career in the City and in Paris (with Holman, Fenwick and Willan, and Slaughter and May) and subsequently became Head of Dispute Resolution at major regional firm, Pitmans LLP. Sue was accredited as a mediator by ADR in 2008. Her mediation practice has now overtaken her former work as a solicitor in which she focussed largely on land, property and construction disputes. Sue also has extensive experience of professional liability disputes. 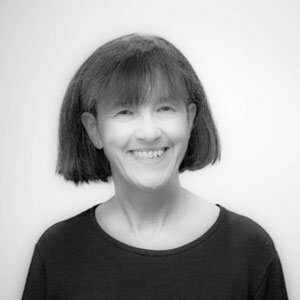 Sue combines a keen analytical intellect and sound legal knowledge with approachability and informality. She brings optimism and energy to her mediations and is often commended for her commonsense approach to problems. Her success as a mediator is underpinned by her excellent grasp of legal and strategic issues and her good head for business. She rolls her sleeves up and works hard for parties, achieving results in seemingly intractable situations. As a disputes solicitor of many years’ experience, Sue is just as happy working with rooms full of lawyers as with unrepresented parties. “Sue was extremely helpful and her knowledge allowed her to cut through the issues and bring the parties to a settlement. I was extremely happy with her performance and would not hesitate to use her services again”. “I was really impressed with the the professionalism of Sue O’Brien during our recent mediation. Sue managed to keep the process on track in a firm but encouraging manner by focusing on finding an acceptable solution rather than going over our differences. I would definitely recommend Sue to anyone looking for mediation”. (Managing director of contracting company after resolving a long running construction dispute). Sue trained with and was accredited by ADR Group in 2008. She is a member of the Law Society, the Chartered Institute of Arbitrators, the Country Landowners Association and the British Horse Society. She is a member of, and registered mediator, with the Civil Mediation Council. Sue loves the great outdoors and particularly enjoys walking, horse riding, cycling, kayaking and skiing with friends and family, as well as more sedentary pursuits such as theatre and opera, exhibitions, good books and good food. She has been quick to capitalise on the many upsides of her children becoming independent, managing to fit in a lot of interesting travel in recent years. Sue lives in Oxfordshire and mediates throughout the UK.